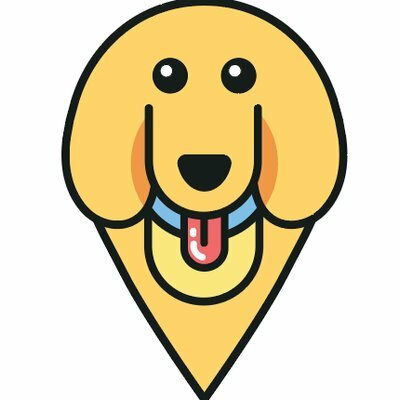 5 Reasons Why Dogs Need Walks – furevery – A powerful new app furevery dog parent, furevery dog and furevery dog business. We connect hands with paws. We all know it’s important to make sure our pups get walked everyday, but today we wanted to share some of the top reasons why. Walks keep your pup in great physical shape as well as build your dog’s mental strength, which contributes to its overall happiness. Happy dogs = Happy humans! 52% of dogs in the U.S. are obese or overweight, according to a study by the Association for Pet Obesity Prevention (APOP), and this can shorten a dog’s life. That extra girth carries an increased risk for diabetes, heart disease and several other pricey health issues. AND It has been proven that fit dogs can live two or more years longer than obese dogs! That is why this is coming in at reason number one! Does your dog bark excessively or chew/dig/run away/jump on people? Any unwanted behavior that your dog exhibits often stems from frustration and boredom. A bored dog will find things to do to amuse itself in destructive ways! However, after a good healthy walk, dogs are tired out and more likely to be a cute snuggly doggo rather than a destructive naughty doggo! Socializing your dog encourages him/her to just be a dog. The way humans socialize is through communicating with one another, but dog’s don’t communicate the same way. Their was of communicating is sniffing, playing and greeting with other doggos. One of the best ways to socialize your dog is to take it out for a walk around the neighbourhood, a walk in the dog park or attend a free pack walk held locally. *See the Community Events section of the Furevery app for upcoming Pack Walks in your area. I often hear my friends talk about how important it is to create a structured nap routine for their babies and newborns. Same goes for structured walk routines for your puppies and dogs. Structure will get your pups used to when it is acceptable to relieve themselves, when feeding times are and when to wake up or go to bed. Scheduling in your daily walks will help create this structured routine! Even a dog’s free time is better enjoyed when it’s presented in a structured way. Getting to go for a walk is one of the most exciting parts of your dog’s day. You can give them more mental stimulation by letting them stop & sniff around some more. It’s true that walking is great physical exercise, but for dogs it’s also about exploration. Switch up your walking trails once and a while, find new paths to explore and go on advertures together to stimulate both your minds!